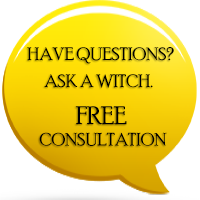 One of the more common questions we receive asks about the difference between Wicca and Witches. We have put together this article to help dispel some of the misconceptions out there about Wiccans and what it is they do. A witch can follow many paths, but becoming a Wiccan is a choice to join an ever growing faith. just like someone might decide that they are personally more in line with Buddhist or Christian teachings. As with any faith, there are those who would spread untruths, knowingly or not, simply to seem that they know more than others. With all things, it is best to do your own research and find your own truth. Wicca does not sacrifice animals or babies, no matter what you may have heard. There is no part in any of the Rituals performed in Wicca that requires sacrifice of animals or persons, whether living or dead. The gods of the old wanted the sacrifice of blood in the past but this has changed as they no longer feel the need for blood, nor do they wish to harm any person. Even though many Christians think otherwise, followers of Wicca do not believe in abortion and they do not make use of the fetus for performing any rituals. There are also some people who are of the opinion that Wicca is a cult. What they fail to realize is that it is not a cult; it is just a religion like any other. While people claim that there is a king and a queen of Wicca, it is actually a wrong assumption. There is no ruler or papacy of this religion; it consists of various small groups that are commonly referred to as groves or covens. These groups are operated in the traditional way. Each of the group is headed by a priestess and she is assisted by a high priest. Irrespective of the whether it is day or night, Wiccans do not fly on brooms. Broom flying is actually one of the customs of the witches and this was carried out for the purpose of blessing the crops in the fields so that they will produce in plenty. However, you need to realize that they do not actually fly on their brooms. They merely ride the brooms like children would ride their stick hobbyhorse. 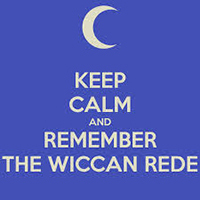 You also need to know that Wicca does not encourage its followers to go and convert other people to become Wiccans. This is because this kind of action is considered to be wrong by most of its followers. 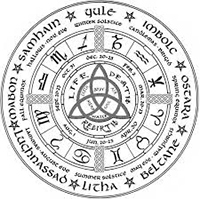 If you are thinking about becoming a Wiccan but you are wondering whether or not you will have to renounce the religion that you are presently following, then you do not have to worry about renouncing your religion as you can become a Wiccan without giving up your religion. We know that this article only covers a few topics and there are probably many more you have questions about. Since we know this is the case, we offer some suggested reading material to learn more. Firstly, Earth, Air, Fire & Water by Scott Cunningham, and secondly (don't laugh) The Complete Idiot's Guide to Wicca and Witchcraft. Both of these books have a good deal of information that will help you become more knowledgeable and give you some perspective. While there are many books out there that can give insight, we chose these two because they are both presented in a simple and easy to understand format. Do you know of any good books for beginners? Please share them in the comments section of our blog. I didn't know whether to laugh or cry when you got to the part about human sacrifices. Few religions left in the US still require actual blood. It speaks volumes that you even had to address the issue. I would say the evolution of religion might have more to do with the country you reside in than the religion itself. Some countries are more given to violence in everyday life and think it normal. In general, the US does not. I bought Wicca, A Guide for the Solitary Practitioner. I don't pore over it, I just let you do the spells. I suppose it would be a step forward to do more. I have the kit. Mostly I just try to get forward in life and let the spirituality and your spells let me do that. I think of the spells as prayers. Someone else cares, also, for a bit, about what is going to happen and lends you their strength and purpose. May your day be Blessed Also. This misconception Must be dispelled through the unraveling of great truths pertaining to rationales which do not harm man in whatever manner even causing pain.Always each one of us has an up to depth understanding of each issue which to my view need to be shared in necessitating a common conclusive ground by locking those evils purportedly exhumed in serving someone being important. Wicca is a religion of faith like others dedicated in manifesting good in the world. There is a good book for beginners which I always recommend to people The process of gaining cosmic consciousness. This is a really great article. I had no idea there about the king and queen thing, since I never ran across it in any of my reading. The article only posted Wicca is or isn't -about Wicca, the topics for each section should have said Wicca/Witches. Those that fear, will always think the craft/wicca is about dark things, no one teaches about each others' religion in temples or churches; Because society in general think we praise their dark deities. When in fact it is their own fears and ignorance that cause the misconceptions. Im here in the Philippines and i am so interested into this, i want to learn more to become part of it. Im a Christian, it doesnf matter right? As long as i dont hurt anyone then i shall be happy. I had to smile at that part about sacrifices. I am a pro-choice Liberal Democrat who still believes that Wicca is my path.